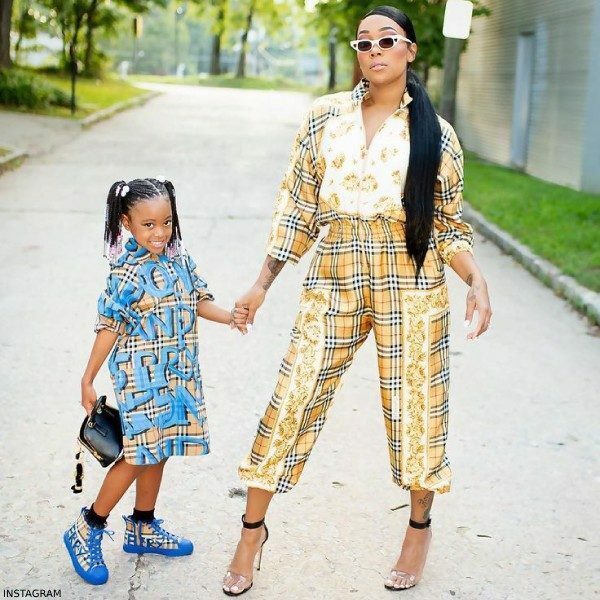 Musician Monica Brown posted this adorable picture on Instagram with her 5-year-old daughter Laiyah wearing Burberry Outfits form the Fall Winter 2018-19 Collection. Laiyah looks adorable wearing this girls oversized shirt dress in Burberry Vintage check made in a fine cotton poplin with two flap pockets on the front. Inspired by the Burberry Women’s Collection, this gorgeous mini-me dress features a blue graffiti pattern over the check gives the classic look a modern twist. She completed the look with a pair of matching beige vintage check high-top trainers from Burberry, made in luxurious cotton canvas. With blue leather trims and graffiti logo printed on the sides. Love the black patent leather purse! Unfortunately, this Burberry Girls ERINA Mini Me Graffiti Shirt Dress is not currently available. 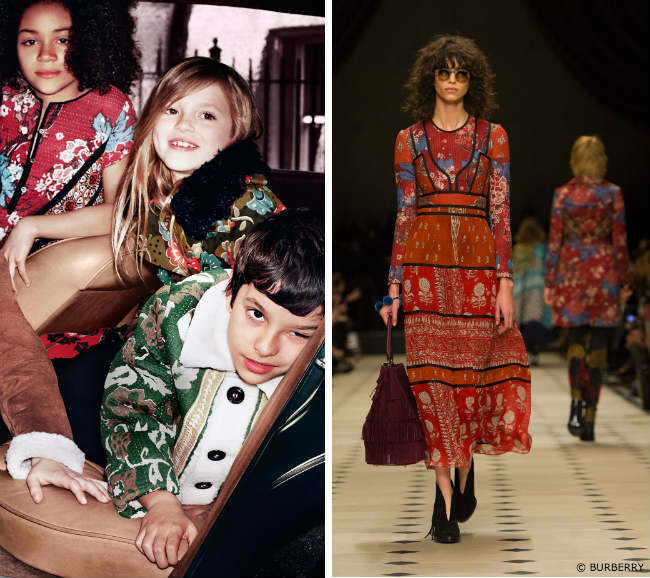 You can shop for similar Burberry Girls clothes from the current collection online.